Quentin Tarantino Has Found Once Upon a Time in Hollywood’s Charles MansonPlus Rumer Willis and Margaret Qualley join the cast. Quentin Tarantino’s Charles Manson Film to Debut on 50th Anniversary of MurdersIn early August 1969, the infamous Manson Family descended on the home of actress Sharon Tate. The Dark Pop-Cultural Influence of Charles MansonHe’s influenced everyone from South Park to the Beach Boys. 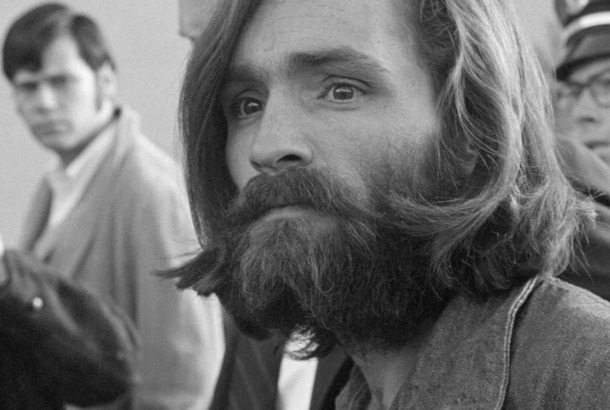 Charles Manson Is Dead, But Pop Culture Is Keeping Him AliveIn American Horror Story, Search Party, and other projects, Manson is still a frightening cultural force. Kate Bosworth to Play Sharon Tate in BiopicBased on the book Sharon Tate and the Manson Murders. Emma Cline’s Masterful (and Quite Traditional) Manson-Family Debut NovelPastoral, marriage plot, crime story. Competing Charles Manson Movies Attract Lindsay Lohan, James MarsdenAnd there’s a third one starring Ryan Kwanten, too.